In the final away game of the season, Sheffield United made it three consecutive 3-0 wins as they easily saw off Milton Keynes Dons at Stadium MK. After a relatively even first half, the Champions edged in front just before the break and then never looked back. Billy Sharp got goals 28 and 29 and his 200th league goal to add to Leon Clarke’s header on the stroke of half time. 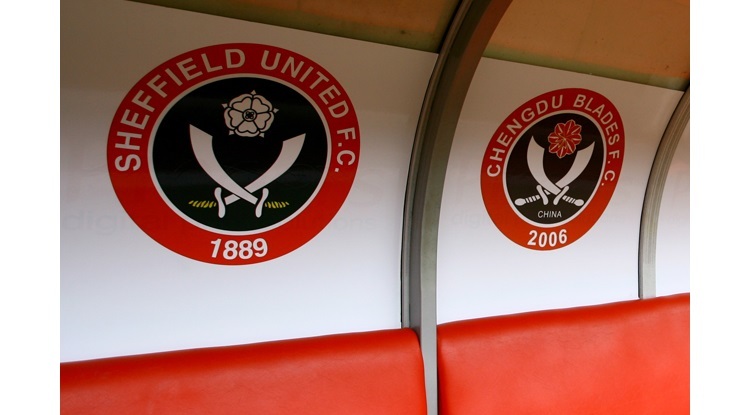 United at times gave the home side a footballing master class as once again they won at a canter as for yet another game the Blades were too good for the opponents. Manager Wilder had to make a change with Ebanks Landell in for Wright, who was ill but then the Wolves loanee himself had to drop out himself due to a tight hamstring in the warm up. James Wilson came in for a rare start after not playing since the start of the season. Former MK player Samir Carruthers was on the bench but still out injured was James Hanson and also deemed unfit was Jay O’Shea so there was a place for Stefan Scougall also as a substitute. MK had a number of players in their squad that could be making their final appearances for the club with long serving keeper Martin and stalwart from the Wimbledon days, Dean Lewington, another who could be saying goodbye. The game was delayed for 5 minutes due to congestion outside as a decent number of the 7,251 United fans had not got in. When the game did finally start it was clear there were a number of visiting fans in the sections deemed as home only but sensibly as the game kicked off, theses fans were moved to be in with the rest of the United fans with a temporary cover moved to allow the away section to be increased in affect. The remainder of the ground was barely even a third full making a mockery of the decision to only allow the above ‘official’ allocation. United started the game in confident manner; knocking it about at pace and precision and drawing out the MK defence. Basham was involved regularly down the right coming out of defence and Fleck was constantly getting on the ball. The neat stuff saw the first chance come as Coutts played a wonderful ball inside the full back for Basham to run onto. He pulled it back cleverly to Sharp who had peeled off but the striker’s finish hit the post with the keeper nowhere and the defender rotating back to the line. It was a really good move and so close to the opening goal. The good football continued as the ball was transferred to the left this time but Lafferty struck a shot over the bar. O’Connell then came out and had a shot himself that was blocked before MK slowly started to come back into the game. Some strong running from Baldock down the right and a neat flick from Agard led to a chance but Wilson did well to block. Leicester loanee Barnes then came inside and hit a shot that deflected off Basham and onto the roof of Moore’s net for a corner. The MK revival continued with more good build up and eventually it was played back to defender Lewington who curled a lovely effort that beat Moore all ends up but glanced the far post and bounced away. 1-1 - at least in efforts off the post. The next 10-15 minutes became quite scrappy. United had most of the ball with Fleck and Coutts heavily influential in the centre and Lafferty making some good dashes down the wing. Wilson had been solid on his return but Barnes playing just off Agard was causing some problems with his quick feet and running. The half seemed to be petering out but as MK attacked Basham stepped in and cleared and Freeman won a late corner. The kick came over Fleck and CLARKE got up highest to power a header into the net. The United fans at the far end celebrated wildly as the Blades were in front again. The half time whistle came soon after the restart and the same fans cheered the team to the dressing room. The second half began with Barnes running at the United defence but despite him evading both O’Connell and Basham, his low shot was well saved by Moore who tipped behind for a corner. After this MK won a number of corners and United struggled to get out for a period and a strong appeal for a spot kick for an alleged hold from Wilson at a corner was ignored by the referee. Carruthers came on to face his former club, replacing Duffy. Slowly United started to regain control and Fleck once again was the main man, making space and time. He and Coutts were pivotal in calming things down and allowing a series of keep ball to take place. United then created a good chance as Lafferty won the header and after neat build up, the ball found Clarke whose curling right footed effort went just past the post. Done then came on for Wilson as United switched to a back four with Done now playing in an orthodox left wing position. MK had a really good chance to get level when a cross came in from the left and Agard was free but his header was well over despite him being well positioned to score. Fleck then broke up play again before Coutts almost got Clarke in. Thomas Asante came on for Potter who drew different reactions from the two sets of fans; due to his Wednesday connections and the fact it may be his last game for the club. The second goal came when Coutts played a ball forward and Williams attempted to knock the ball back to his keeper but was completely unaware that SHARP was waiting to pounce. The leading scorer in the English League nipped in and smashed an unstoppable half volley high into the net sending the Blades fans into raptures again. After this United were dominant with subs Carruthers and Done playing well in many pretty passing moves. Coutts and Fleck were completely dominating midfield and Clarke and Sharp continued to look a threat. Done had a shot blocked and Carruthers then saw the keeper hold a rising shot on the angle. MK were not really in the game now and it looked like the visitors would get chances every time they attacked. The third goal came with just under 10 minutes to go. Coutts won possession and powered forward holding off a challenge and as he was fouled knocked a lovely through ball into the path of SHARP. The front man was not going to miss as he was one on one again. This time he hit it hard and low and into the net and it was celebration time again for the massed army behind the goal as Sharp jumped for joy in front of them. The final stages saw a flurry of substitutes with Reeves coming on for Muirhead for the home side and then Chapman coming on for Freeman for the Blades. There was also a final bow for long serving keeper Martin who came on for Nicholls as the game entered stoppage time. Good natured pleas from the home fans for the keeper to go up for a late corner were ignored and the final whistle came soon after this was cleared. A few hundred United fans went on the pitch (again) but eventually they returned to their seats and both teams came out again with MK doing their final game traditional lap of honour and the Blades players celebrating in front of their fans. Billy Sharp received an inflatable trophy from the fans but also was keen to get a magic hat and brick for Jack O’Connell. Sure enough the current anthem of choice for Blades fans was belted out and the defender recreated the words to the song by heading said brick (not a real one!) as Sharp tossed it towards him. The rest of the team cheered behind him and the party continued as the players walked round and saluted the huge travelling support many of which had not stopped singing and smiling all afternoon. United – Another very good performance. First half we seemed a bit leggy at times and I felt did not quite have same zip we have shown but still played decent football in pockets ad did start the game ok but then went off the boil. We still had more of the ball and I felt we had control even though they did have a spell. They had some chances too but we had more of the play. Sharp should have scored but then Lewington could have also, as they both hit the post. We then scored on the stroke of half time and never really looked back. They did have a few chances early second half but from about the hour mark it was a footballing master class from United. Some of the football second half was a joy to watch. Coutts and Fleck were fantastic and the whole team as they have in this long unbeaten run, just kept getting better and better. It was as if the longer the game went on, the stronger we became and made MK look a sorry bunch by the end. We scored two more good goals and could have had more. It was exhibition stuff at times and superb to watch. A lot of keep ball as the oles went round the away end. Done and Carruthers both did really well when they came on and Sharp looked dangerous every time the ball went into him. I actually think if we wanted to we could have scored even more goals. It was that dominant at times and they simply could not get the ball off him. Good to see a lad like Wilson get a game (easy to forget how important that header was he scored in that first win v Oxford) and he did ok. The rest of the side were solid with Sharp and Clarke getting the plaudits for the goals but the stars for me were the two midfield lads who dominated play. They got their foot in, won it and then used it very well. They looked a class apart today. We won 3-0 and it was another comfortable win. Like Vale and Bradford, the opposition had a spell. Today it was a 10-15 minute one first half and then just after the break and maybe should have scored (Agard missed a bit of a sitter) but once the second goal went in; it was a matter of how many United might get. They kept coming forward and at times it was relentless. I hate saying it as it sounds a bit arrogant but we are too good for this division. Whether we can continue it next season at a higher level it is hard to see but at the moment the team are flying and confidence could not be higher. I think the fans and team do not want the season to end as we are that good at the moment and everything is so enjoyable. The football is superb, we are scoring goals, and the team are playing for each other and fighting and scrapping as well as the pretty stuff. Cannot fault them at all. We have one game left and I hope he still plays a strong team. Be nice if a few get run outs; maybe farewells for McNulty and Scougall and also a cameo for Brooks; from the bench but would rather smash Chesterfield. Hope Billy gets goal 30 and we can make that 100 point mark. At the moment, I cannot see the side slipping up and very confident they will finish the season on a high. Indeed, if Chesterfield come half arsed then it could be very one sided next week with United in this kind of rampant mood.